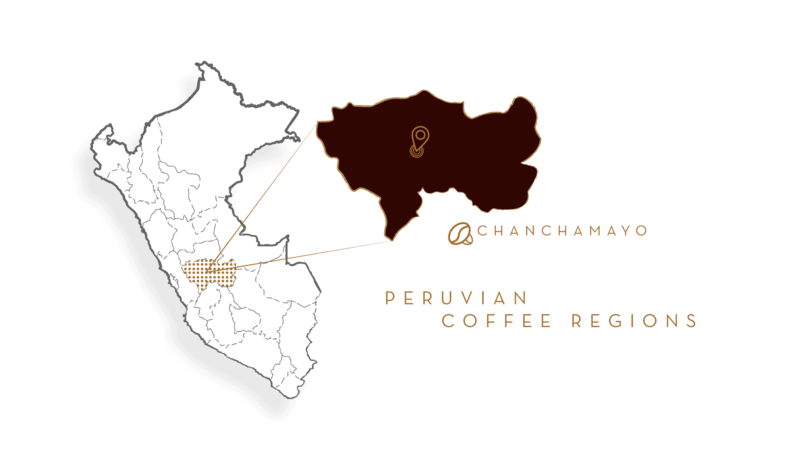 Our Peruvian Decaf is a blend of beans from the Chanchamayo region of central Peru, known for being one of the main producers of premium Peruvian coffee beans. Beans from this region have a characteristically medium body and mild to bright acidity, as well as a noticeably nutty flavor. Our long-standing relationships with local Peruvian coffee cooperatives allow us to acquire the highest-quality beans while encouraging environmentally friendly agricultural techniques and fair labor practices. Before roasting, we use an indirect water process for removing the caffeine from the beans for this blend which allows us to preserve their full flavors. We then dark roast the beans to bring the natural oils to the surface, resulting in a cup that is soft and sweet and has a pleasant finish.